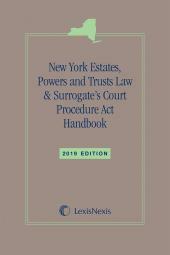 A nine-volume, practice-oriented guide for New York practitioners who encounter issues of corporate law in their practice. The accepted authority in New York. This is a nine-volume, practice-oriented guide for New York practitioners who encounter issues of corporate law in their practice. 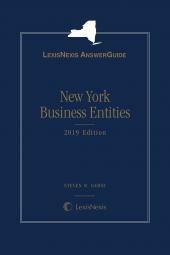 It provides guidance on how to proceed with setting up, running, and terminating businesses in New York, and includes important information pertaining to the tax implications of the use of the corporate entities, their operation and termination. 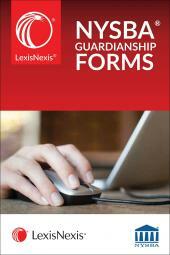 Coverage includes references to relevant state and federal cases, New York statutes, and federal statutes. Topics covered include pre-incorporation planning, mechanics of incorporation, rights of shareholders, purchase and sale of business, LLCs, not-for-profits, S corporations, state securities regulations, federal and state tax law. 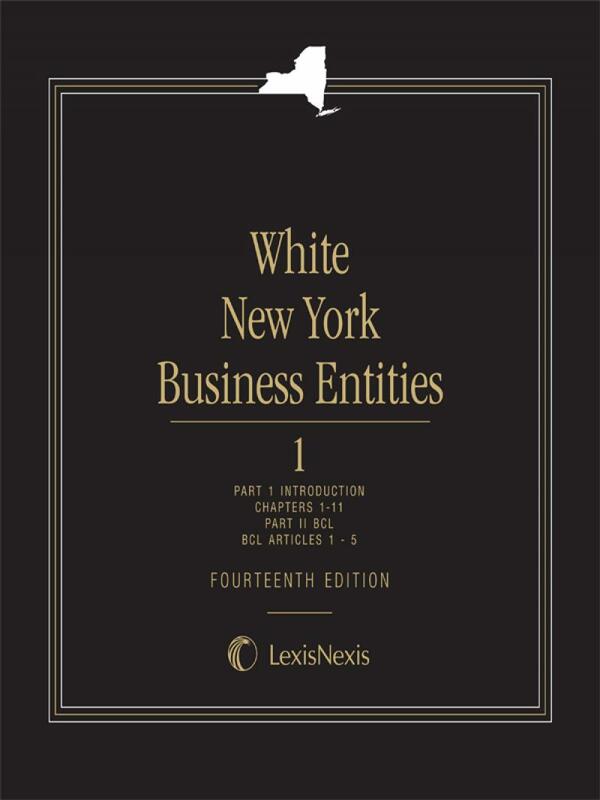 White, New York Business Entities provides a comprehensive analysis of the Business Corporation Law, Limited Liability Company Law, and Not-for-Profit Corporation Law, as amended by the Non-Profit Revitalization Act of 2013, and other related statutory provisions. There is in-depth coverage of all recent amendments and decisions. 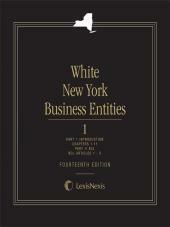 Also included in this publication: federal tax analysis covering everything from pre-incorporation planning to sale or liquidation and dissolution; a discussion of securities regulation under the Martin Act, including broker-dealer registration, investor advisor registration, exemptions, and enforcement; and official forms and pleading forms most frequently encountered in corporate practice. Christopher M. Potash is a partner in the Harter, Secrest & Emery LLP's Tax Group. He concentrates his practice on tax matters, with an emphasis on executive compensation, partnership and corporate taxation, S corporations, limited liability companies and business formation and planning. Mr. Potash is a member of the American Bar Association, the Finance Committee of the Rochester Grantmakers Forum and the Young Leaders Club of the United Way of Greater Rochester. He previously served as a member of the Advisory Board for the St John Fisher College Master in Taxation program. David A. Shevlin is Senior Counsel and a member of the Simpson Thacher & Bartlett Exempt Organizations and Corporate Groups. He advises a variety of international and domestic exempt organizations, including both private foundations and public charities. He regularly speaks and writes on topics of relevance to private foundations and public charities. Mr. Shevlin's professional associations include membership with the Exempt Organizations Committee of the American Bar Association Section of Taxation. He serves on the Board of Directors of Doctors Without Borders USA, and is Chairman of the Administrative Committee of that organization. He also serves on the Board of Directors of Global Film Initiatives, a New York charity that provides cross-cultural education through the medium of film. Richard E. Honen, Managing Partner Honen & Wood, P.C. (www.honenwood.com), received his B.A. from the State University of New York at Albany in 1982, and his law degree from Albany Law School of Union University in 1985. He concentrates his practice in business, corporate and venture capital counseling, and has extensive speaking and writing credits in those and other legal areas. He is the president of the Empire State Venture Group, Inc., is a founding partner of the Tech Valley Angels Network, and is General Counsel and Executive Committee Member for The Center for Economic Growth in Albany. Mr. Honen is a member of the Advisory Board of the Science and technology Law Center at Albany Law School of Union University and of the University of Albany Council on Economic Outreach. He has guest lectured on corporate and technology law at those institutions and at Rensselaer Polytechnic Institute at the undergraduate and graduate level. Edward H. Cohen is counsel to Katten Muchin Rosenman (the successor to Rosenman & Colin), specializing in corporate and securities laws, with a focus on public company representation. Mr. Cohen was an associate in the firm from his graduation from law school in 1963 to 1972, and a partner from 1972 to 2002, when he retired from the full-time practice of law. Mr. Cohen has been a lecturer for numerous New York State Bar Association and Executive Enterprise programs on securities and corporate laws, and has lectured on mergers and acquisitions for the continuing education programs of New York University, the Wharton School of the University of Pennsylvania and the Johnson School of Cornell University. He is the founder of the SEC Midtown Discussion Group. He has also been a speaker on corporate law for the New York County Lawyers' Association and has served on several American Bar Association panels. James J. Canfield is a partner in the law firm of Hiscock & Barclay, LLP, headquartered in Syracuse, New York. He has extensive experience in transactionalmatters, including business formations, equity and debt financing, stock andasset purchase and sale transactions. He is also experienced in commercialloan transactions, including construction and government backed financing,commercial leases and overall business maintenance. He is a frequent lectureron commercial lending and other transactional matters.